The small towns of Pioneer Bay, Grantville, Tenby Point, Corinella and Coronet Bay join forces to create spectacular outdoor light installations along their shared coastline. By lighting up the zone between land and sea, The Edge of Us reimagines how the community spaces along on the edge of the coastline are utilised – it aims to build on evening visitation and encourage greater community interaction between the Bass Coast Waterline Townships. Through the design and creation of renewable light-generating objects, The Edge of Us brings people together through two key project programs: Luminous Streets and Luminous Galleries that focus on the creation of outdoor public gallery spaces. Craig Walsh projections in Birregurra, courtesy and © Birregurra Community Arts Group. Reflecting on the past and embracing the future, Birregurra transforms its idle Mechanics Institute Hall into a welcoming, creative and communal hub. The Birregurra community is in full-swing, implementing their mission to revitalise their underused hall from a shrinking violet into a thriving arts and cultural hub. With support from all levels of government and local community organisations, the Birregurra Mechanics Institute Hall will be transformed into a regional cultural facility and an accessible space to allow for increased local use, diversified arts and culture programming and opportunities for cultural tourism. As well as significant infrastructure and technical upgrades, the hall revitalisation includes new outdoor community areas and a mural that delves into Birregurra’s history and also represents the hall as a traditional community meeting place. From the Dirt, Girgarre Community gather on the site of the planned Soundshell, photo by Serana Hunt. Drawing on the town’s enthusiasm for music, Girgarre is working with international artists-in-residence to create pop-up sound installations, a new outdoor performance space and a creative revitalisation of the memorial hall. Drawing on the town’s well established enthusiasm for music, Girgarre Revival: The Sound of Our Spirit Rising will see a group of extraordinary artists develop the town’s musical skills, knowledge and aspirations. Local residents, students and artists will expand their understanding of music in a series of sound, language and performance workshops with two internationally acclaimed artists: Graeme Leak (composer and musical director) and Robin Fox (electronic sound and light artist). The project will also include a refurbishment of the local Memorial Hall, with the installation of new quilted acoustic sound curtains created by the Girgarre Quilters in collaboration with internationally renowned quilter, teacher and curator Gloria Loughman. In 2018, Girgarre Revival: The Sound of Our Spirit Rising will culminate in a series of music-inspired events and activities. 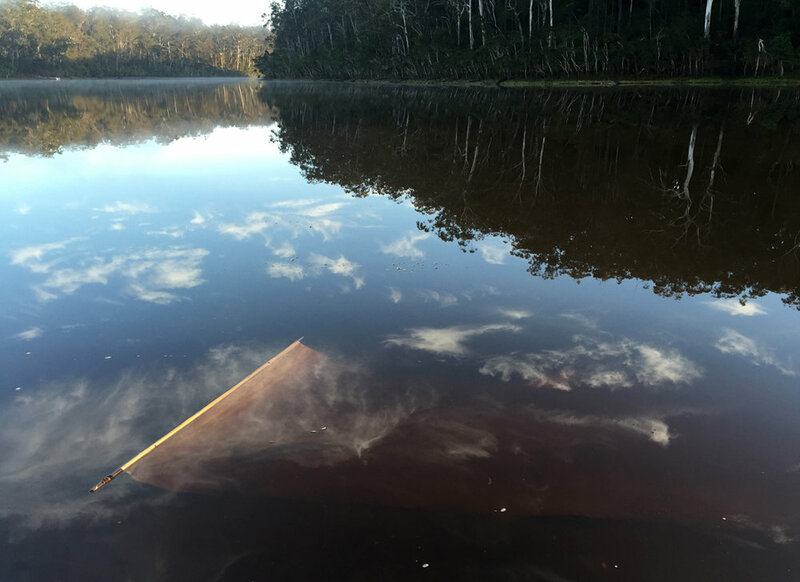 Reflections in Lake Tyers, photo by Josephine Jakobi. Centred around a sustainable floating arts and research vessel, FLOAT connects the many diverse communities that live on and nearby the shores of Lake Tyers in East Gippsland. Floating on the water that connects the many diverse communities around Lake Tyers, the FLOAT vessel is an inspiring space for artists, scientists and environmentalists to respond to the environment, the history and the culture of the area. An artwork in its own right led by FLOAT artistic director Catherine Larkins, the FLOAT vessel is artist-made, designed and built through a cross-cultural collaboration by a team of local Indigenous and non-Indigenous artists and boat builders. As the FLOAT vessel was in planning and development, a collaboration formed with a broader community of residents to research and document the seasonal changes of Lake Tyers and create FLOAT ALMANAC – a guide that commemorates the changing cycles of the area which may inspire, and be a reference for, future residents and visitors. A significant, Indigenous-led permanent public artwork that reflects Narrawong’s local heritage and culture that inspires multiple community and artist-led projects. 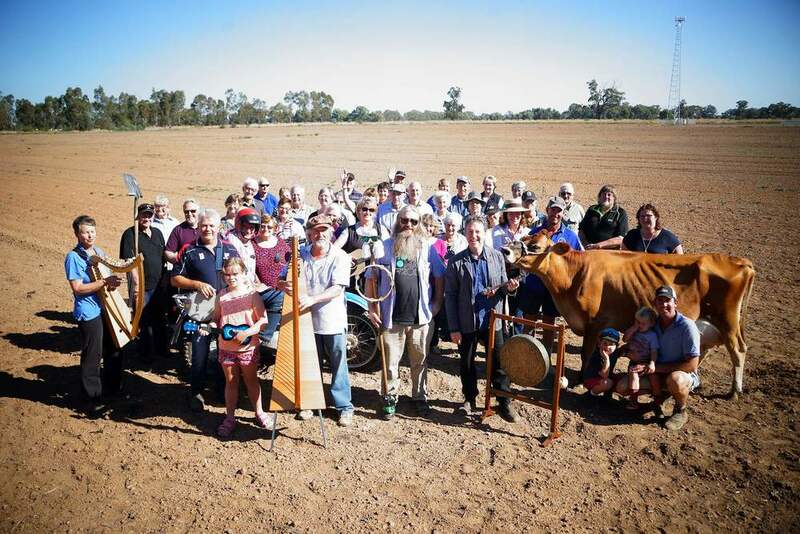 Kang-o-Meerteek will strengthen Narrawong’s connection between people and place – from Mount Clay to the streets of Narrawong; from the Surrey River to the ocean; and everywhere nearby. Through the development of a series of artist-led workshops, activities and a permanent public art installation, Kang-o-Meerteek is a reimagining of intergenerational shared stories and experiences inspired by local Indigenous heritage, culture, place and country. Narrawong residents and neighbouring towns can participate in a variety of initiatives facilitated across Narrawong, including numerous art workshops, collaborations with Gunditj Mara peoples and other partners, multi-form fabric projects by Deb Saunders and the Narrawong square blanket project by Shelley Husband. Revitalising the historic Rainbow school building and grounds into a community space that provides an inspiration for creative and cultural exchange with local, national and international artists. Rainbow is a remote and thriving agricultural town nestled between the Big Desert Wilderness Park and the Little Desert National Park – it’s a thriving oasis that is becoming even lusher through a series of artistic works, events and cultural collaborations as part of The Oasis: Creativity on the Fringe of the Desert. The historic Rainbow school building and grounds have been reinvented and repurposed into a pivotal new multipurpose community space located between the town gallery and silo –named the Oasis Desert Garden. A site for creative possibilities, the Oasis Desert Garden will enhance community connections, minimise isolation and will be a permanent site for events, activities, collaborations and exchanges. The Oasis: Creativity on the Fringe of the Desert will expand the ongoing relationships with local Aboriginal communities through Embodied Landscape – an international cultural exchange and event.